We are very proud to announce that Dan Raytis has joined Belden Blaine Raytis, LLP as a partner. 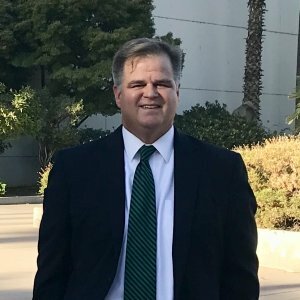 Dan Raytis has come to the firm after more than fifteen years at a distinguished public agency and water law firm and the Kern County Water Agency where he served as the Assistant General Counsel. Dan’s experience during that time was focused on providing general counsel, real property, water law and complex litigation services to various clients, including public agencies (primarily water districts), mutual water companies, and private entities. Dan has led all areas of litigation, including strategy development, fact investigation, taking and defending depositions, discovery and motion practice, and preparing and developing expert witnesses. As an example, Dan was the lead attorney in complex CEQA litigation challenging the certification by the State of California of an Environmental Impact Report for the largest water banking project in the world. Dan’s clients’ success in that case was written about in several news outlets, including the Bakersfield Californian, Los Angeles Times and the Associated Press. Why did I go to law school?